Timothy Really NGtom / Sisi / Tosi / Kon / y.
Nick the Record has been locked in to perform at “TAICOCLUB ’17”, as will be playing on VENT’s world-class sound system, as well. 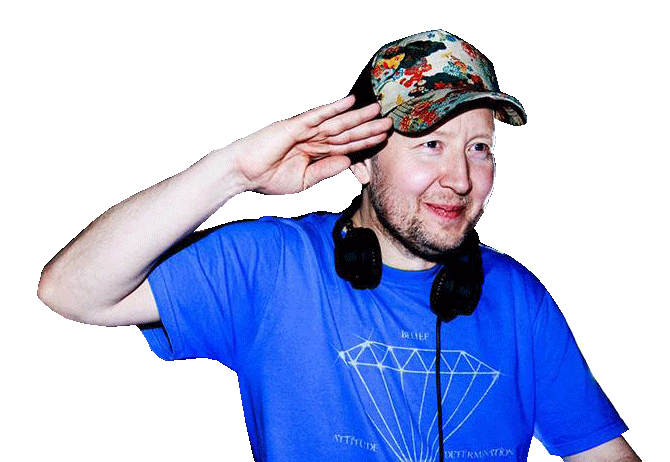 As the main act of the legendary underground party “Life Force”, Nick the Record has been traveling back and forth between London and Tokyo for about 20 years now, always bringing with him fresh sounds to the dance floor. He is also renown record dealer with a massive archive of sounds who carefully selects each track he will put into his elegantly fluent mix – a mix so mesmerizing that once you hear it you won’t be able to remove yourself from the dance floor. He is not only heading Life Force, but also playing outdoor festivals live “TAICOCLUB” – with his first appearance there back in 2006 – for 12 years in a row, Nick the Record’s slick selecting skills have earned him massive respect from Japanese audiences. Nick the Record was so impressed by VENT’s next-level sound system that he made sure to come back here to play while in Japan. From the first-of-its-kind, innovative speakers to the immaculate calculated room acoustics, VENT boast a rich and unique sound environment, second to none. Now, come to VENT to bask in the euphoria of Nick the Record’s long-playing set and dance the night away.